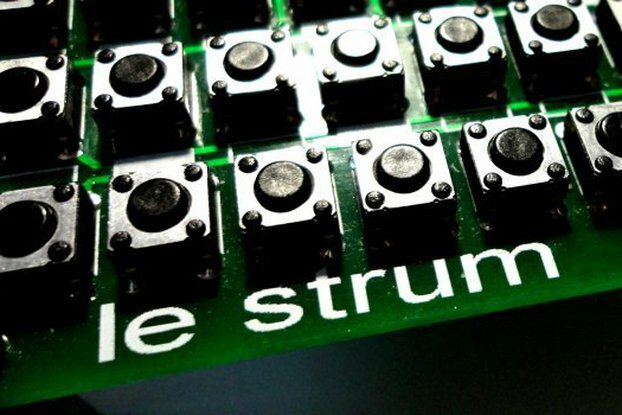 synctab fits snugly inside the ARPIE MIDI arpeggiator. It connects into the 6 pin "hack header" expansion port and adds two 3.5mm jack sockets to the side of the ARPIE. The input socket receives incoming pulse clock signals and relays them to the output socket. ARPIE can use this pulse clock to synchronise its internal clock, acting as a synch slave. 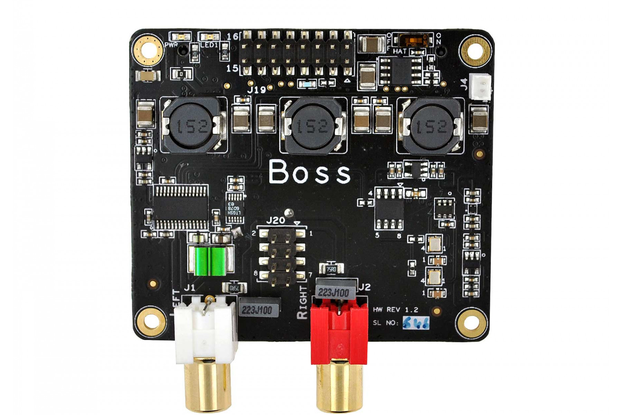 When there is no cable plugged into the input socket, ARPIE sends its own internal clock signal to the output socket, so it can act as a sync master. synctab relies on the pulse clock features of ARPIE firmware version 4. It is not compatible with earlier firmware versions (but you can upgrade). It also requires you to have a version of the ARPIE hardware which includes the "hack-header" expansion port. This is a 6 way female header which you'll find directly below the "N" of the TRAN label. 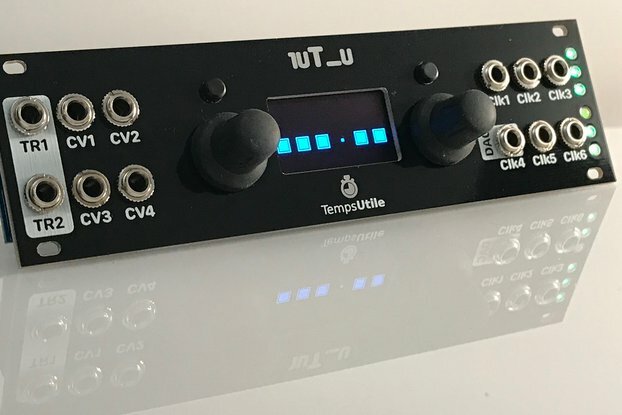 As well as simply providing the sockets for clock connection, synctab includes a Schmitt trigger chip to help keep the incoming clock signal clean and jitter free. 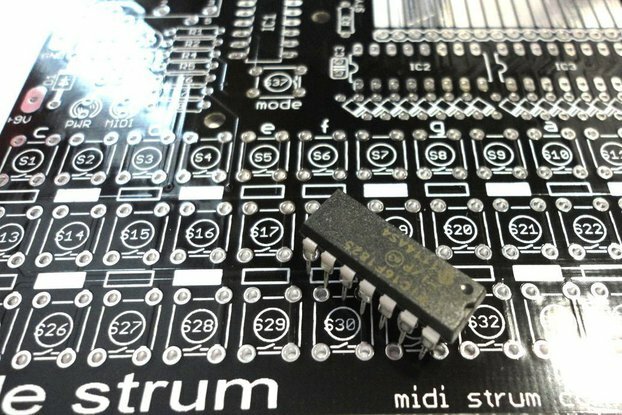 The chip also buffers the clock output and drives a pair of LEDs which blink in response to internal and external clock pulses respectively. 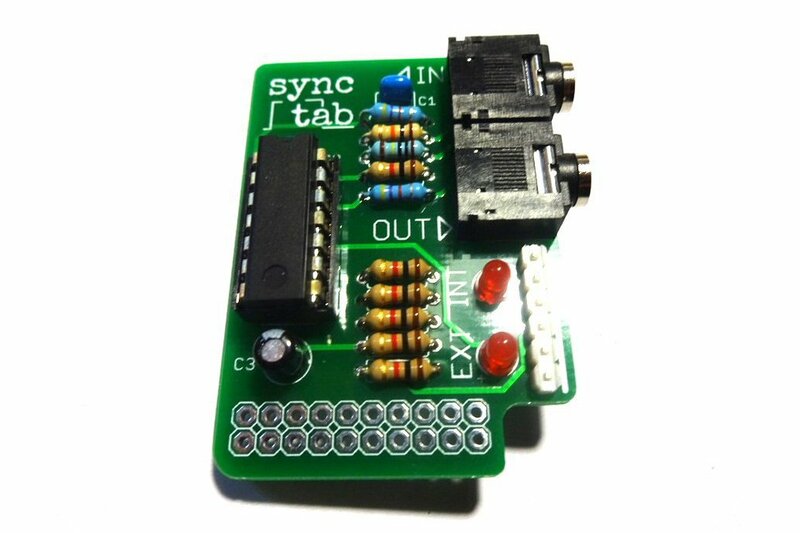 synctab is supplied as a kit and requires assembly by soldering. Make sure you reset ARPIE after plugging or removing cables to synch input. ARPIE only checks for the presence of external clock input at startup. 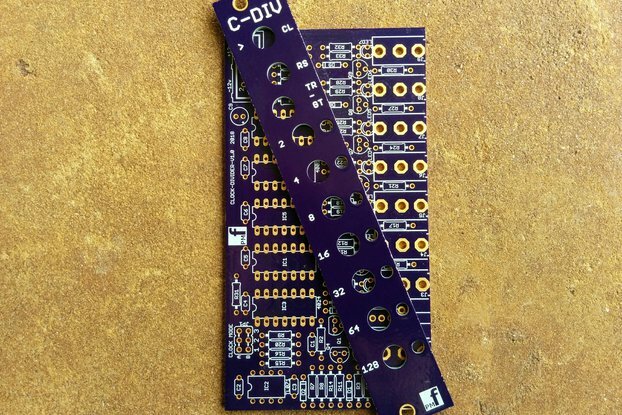 These match the clock signal of the Korg Volca range. Other clock polarity and rates can be supported but you'll need to change a couple of definitions in the code and recompile it. 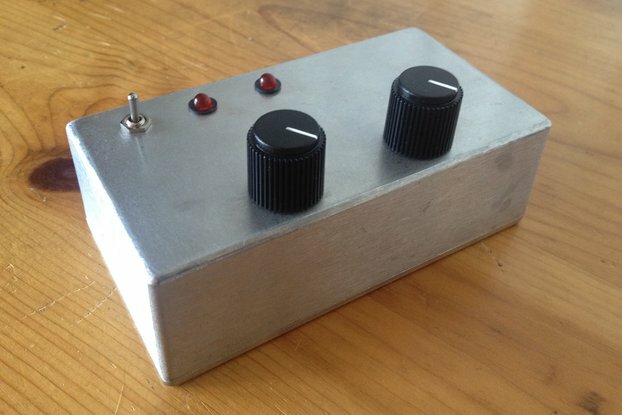 As with the Arpie itself and the add-on case this is a simple build with a low price but very useful. Sync Arpie with Eurorack modular, Korg Volcas or Pocket Operators easily. Dope.